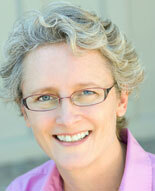 Anne Janzer is a consultant and professional writer who has worked with more than a hundred technology companies. She is the author of the books Subscription Marketing: Strategies for Nurturing Customers in a World of Churn and the recently released The Writer’s Process: Getting Your Brain in Gear. In this podcast, Anne talks about the process of writing and the specific challenges marketers face in creating marketing content. She discusses strategies for improving writing productivity, why it’s important to have the right mindset, and explains how writing is in many ways like baking bread. This entry was posted on September 27, 2016 at 6:11 pm and is filed under Marketing Thought Leadership Podcast, Podcasts. You can follow any responses to this entry through the RSS 2.0 feed. You can leave a response, or trackback from your own site.